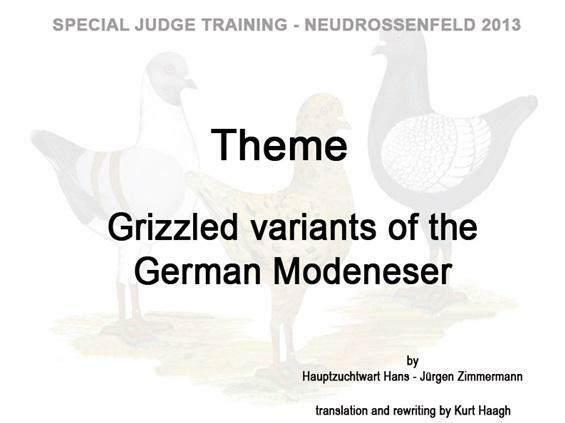 On the judge seminar in 2013, Hans-Jürgen Zimmermann had a presentation of the grizzled variants, and the German version is now translated into English. 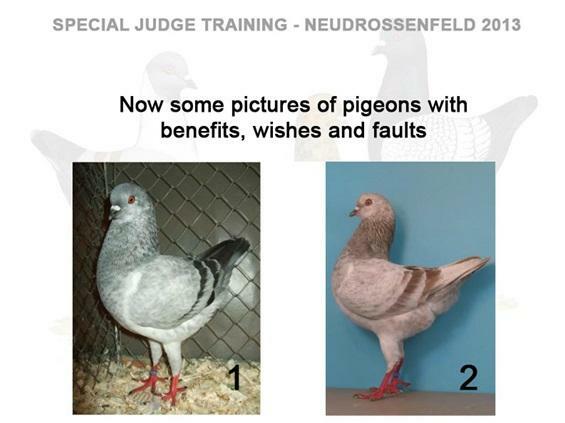 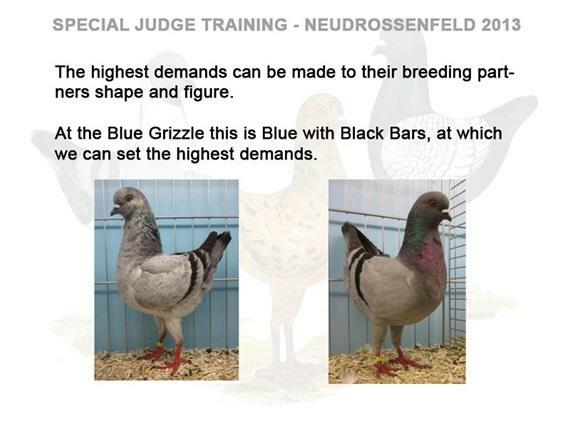 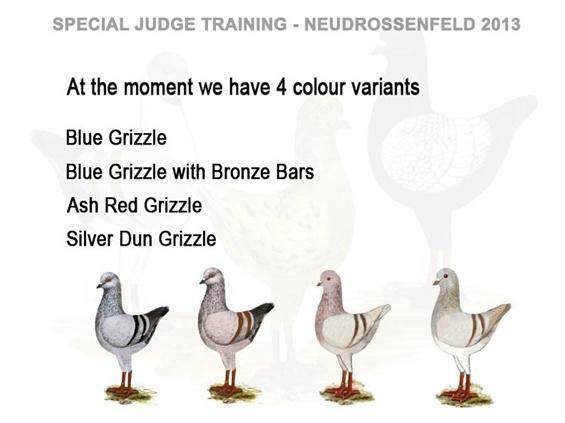 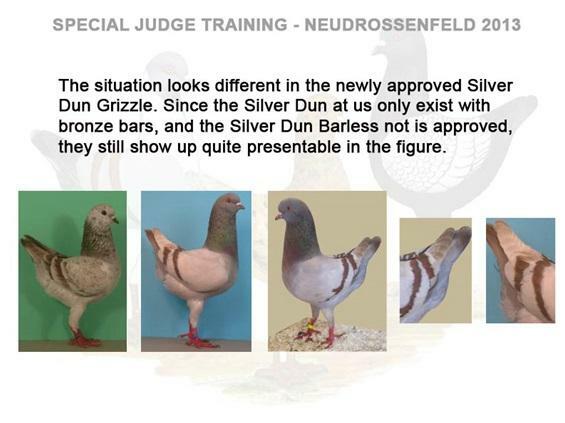 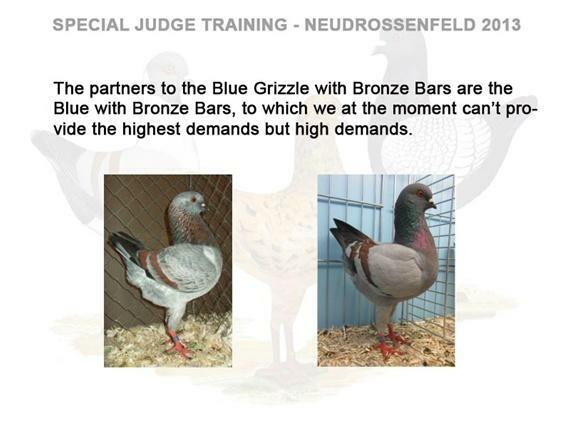 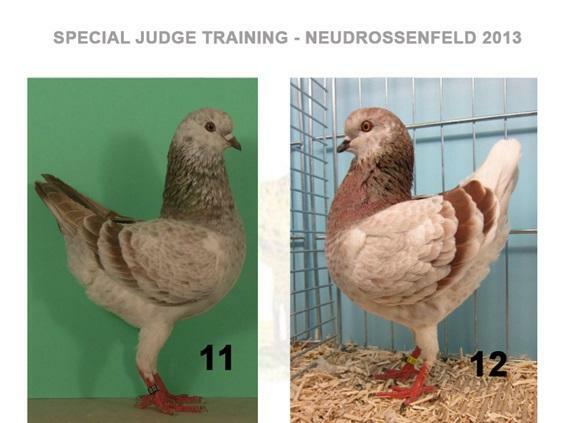 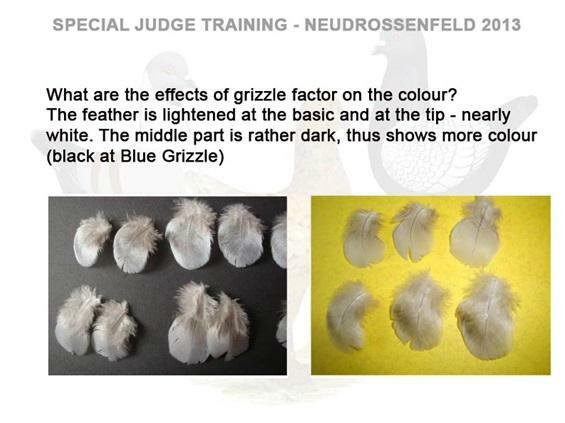 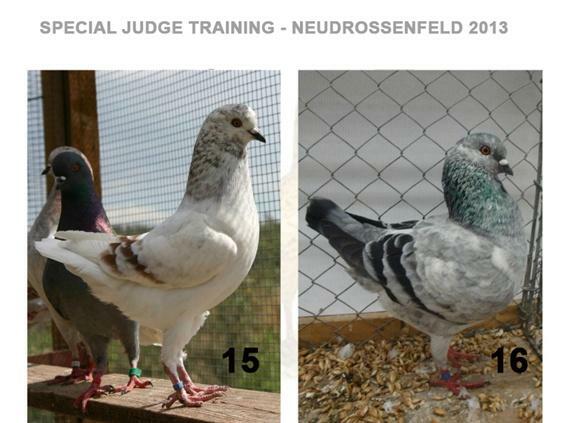 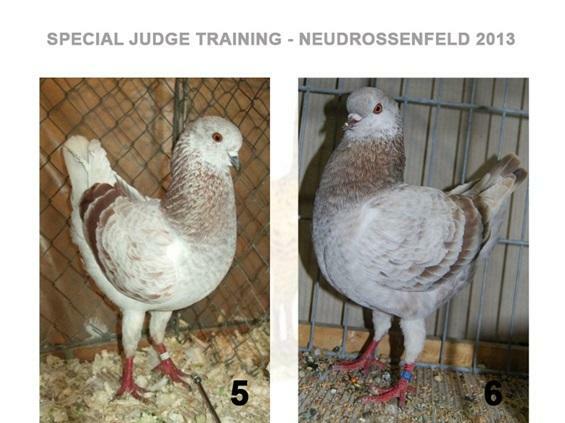 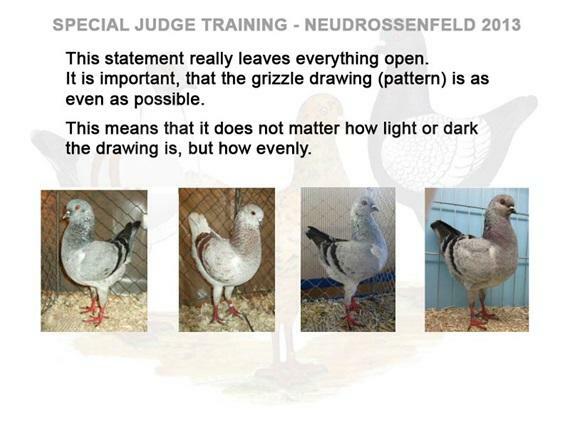 Subsequently, Hans-Jürgen Zimmermann has at the request produced a "key" of the evaluation of 16 selected grizzled pigeons, which can be useful to both judges and breeders. 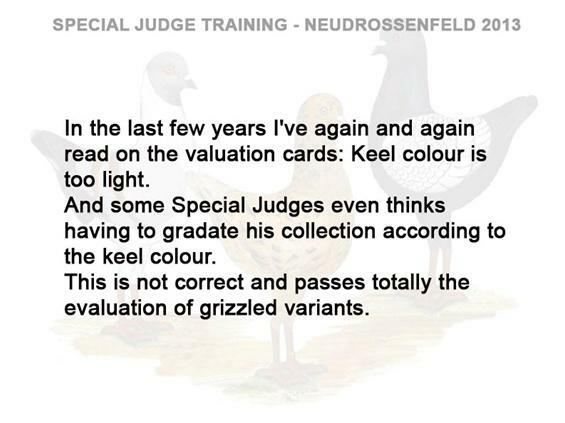 The key is both in English and German. 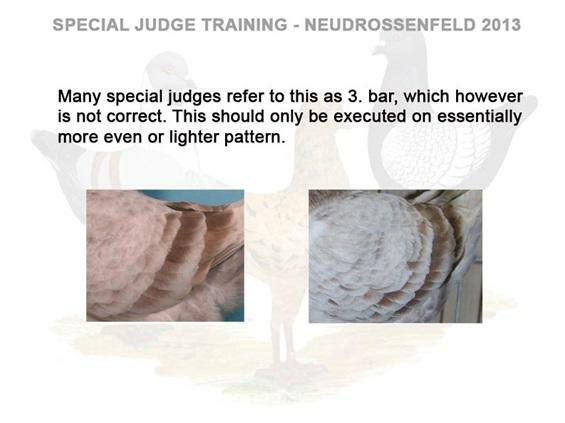 Faults: Too clayey bar colour. 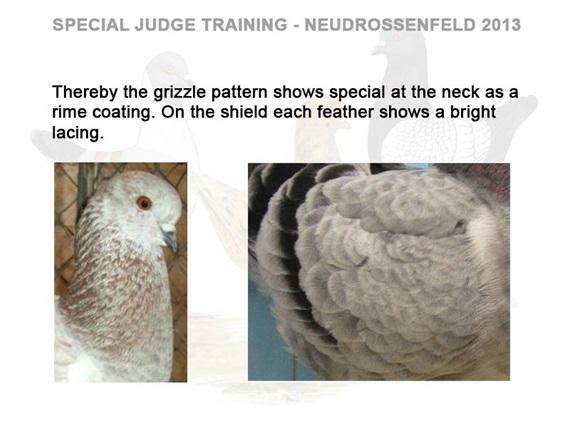 Missing grizzle on forward part of shield. 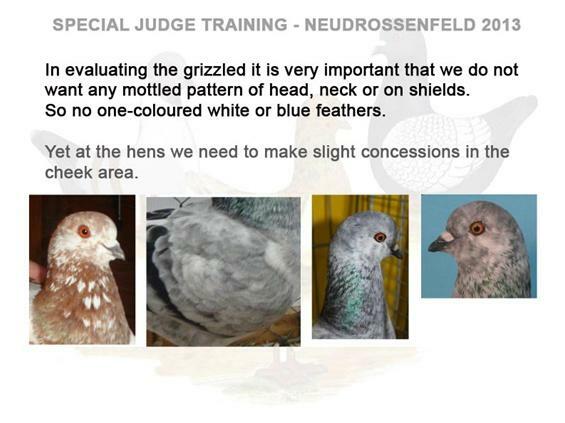 Missing grizzle in the neck. 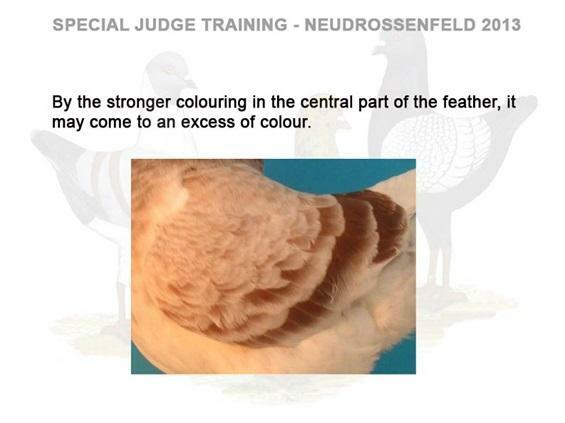 White feather in the head. 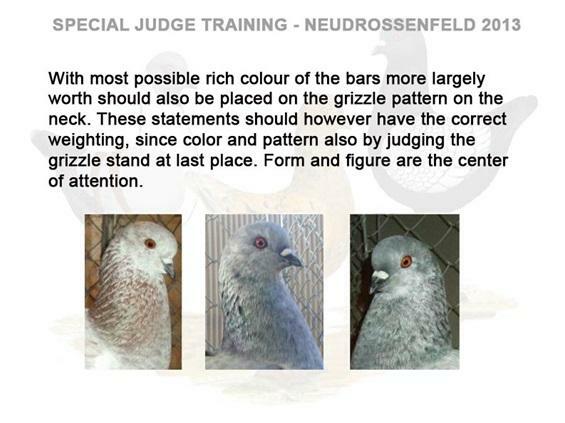 Wishes: Grizzle in head and neck more even. 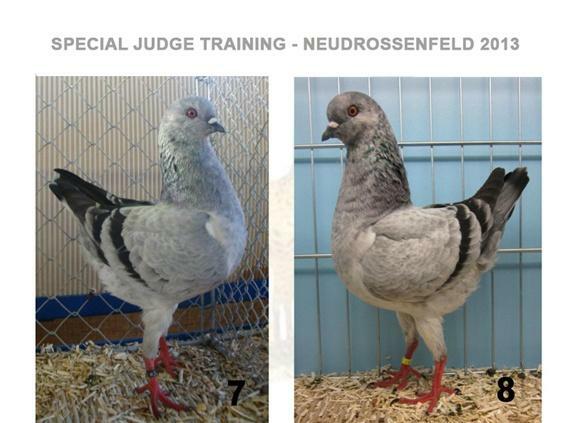 Mängel: Lehmige Bindenfarbe. 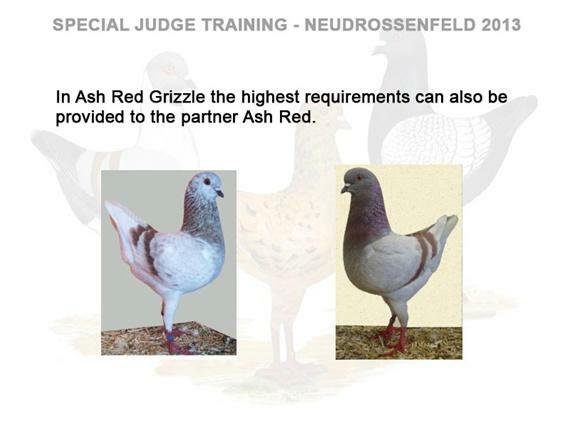 Vordere Partie am Schild fehlt Schimmelung. 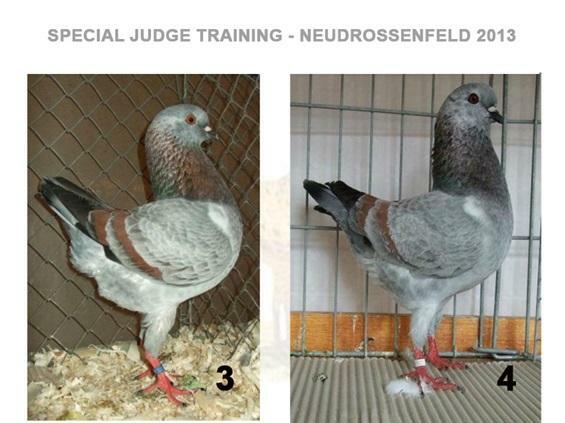 Fehlt Schimmel am Hals. 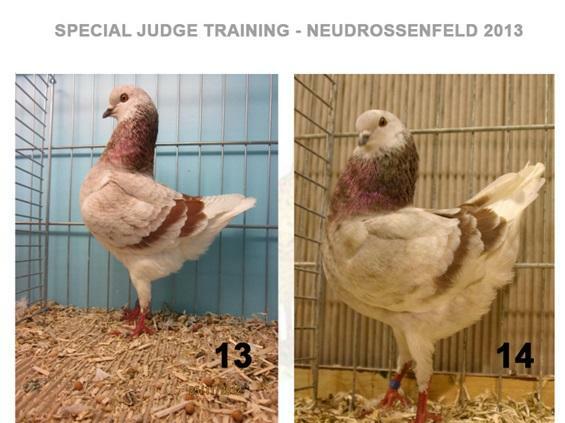 Weiße Kopffeder. 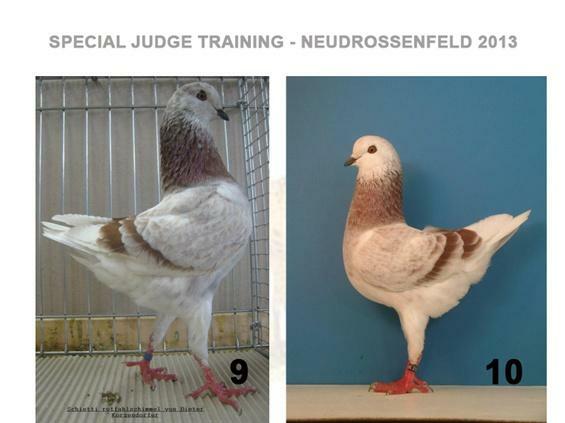 Wünsche: Kopf- u. Halsschimmelung gleichmäßiger.